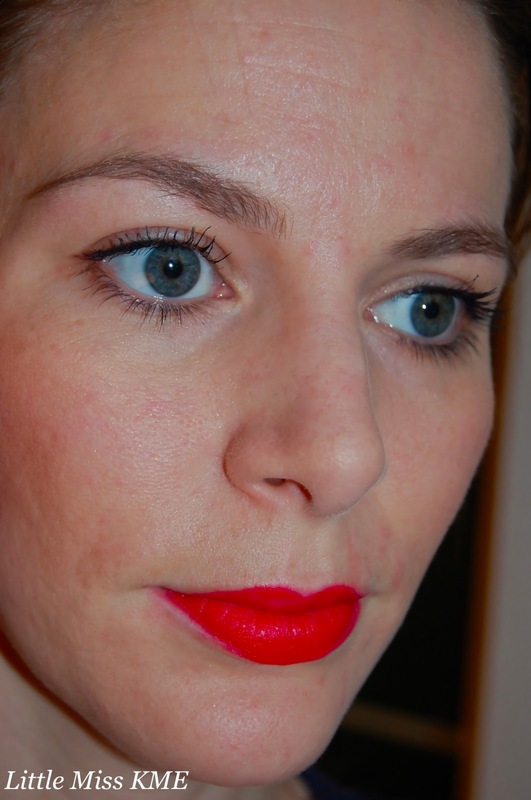 I was invited by CoolBrandz.ch to test the NEW Maybelline SuperStay 14hour lipstick. The test day was called #MyMabellineMonday and over a 14 hour period we had to wear and record how our lipstick performed. I chose "Non-Stop Red - 510"
• Pigments are enveloped in a long wearing system"
The lipstick is highly pigmented, so on application your lips are saturated in colour - which I love. I also noticed that this has a slight sheen to it, which leaves your lips feeling smooth and moisturised. And this particular shade smells like red berries.....delicious! As you can see, on the test day I kept my eye makeup natural to balance the red lips. My photos show exactly how bright 'Non-Stop Red' is when worn in daylight. My one big problem with this lipstick is that it transfers onto everything. It looks great for an hour or so, but much more than that and you'll need to reapply. It looks absolutely gorgeous on you! A red lip makes such a statement, I love rocking color. Your blog is great- want to follow each other doll? This red looks so flattering. It really suits you, such a beautiful shade.